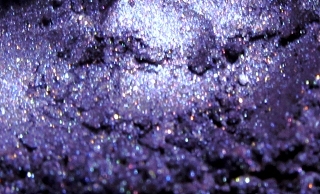 A wine-grape violet layered on a dark base, sprinkled with a rainbow of sparkle. What does this name have to do with winter? Everything and nothing. Not lip-safe.